President Lincoln was right: “America will never be destroyed from the outside. If we falter and lose our freedoms, it will be because we destroyed ourselves.” Lincoln Club Morongo Basin is a call to action for those committed to the defense of liberty and American values. 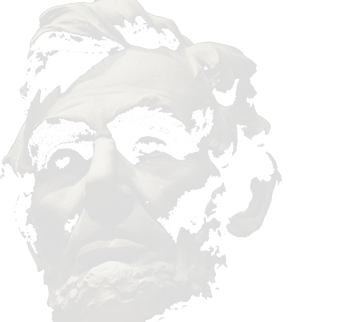 Lincoln’s challenge is timeless and practical. It’s the reason organizations like ours, and hundreds of other citizen-led, grassroots initiatives are forming across the country. For Lincoln Club Morongo Basin, it’s our mission to speak out when individual liberty and free markets are challenged. It’s why we find and fulfill our purpose in recruiting, mentoring and electing principled leaders to public office. And it’s why we’ll use every available media and grassroots tool to influence and educate our community, region and state about the need for sound public policies. Lincoln Club Morongo Basin is meeting place for citizens who share the common objective of advancing freedom’s cause in our corner of California and beyond our borders. We invite you to apply for membership today. Lincoln Club members would define themselves as Americans first, Conservatives second, and Republicans third. The Lincoln Club is a political action committee. We will engage in every step of the political process from recruiting candidates to run for office, to grassroots advocacy, to producing and publishing political advertisements. Membership is comprised mainly of business people who are committed to the cause of freeing business from excessive taxation and regulation. Our members share the belief that a free marketplace is the greatest engine of opportunity the world has ever know, and that business people must in turn elect men and women to political office who are determined to protect the free enterprise system. Members pay considerable annual dues and make significant political contributions from their own resources as well as from the companies that they own. We are a community based political action committee and we invite fellow individuals who are concerned with promoting conservative values and preserving our individual freedoms and the right to join us. Our local LCMB is more determined than ever,and is well-organized with a broad based membership. Our website and regular posted meetings allows us to keep our members and community informed and effectively respond to present and future challenges.